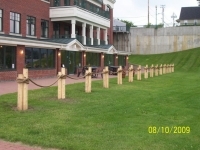 We provide dock piling, post & rope fencing. 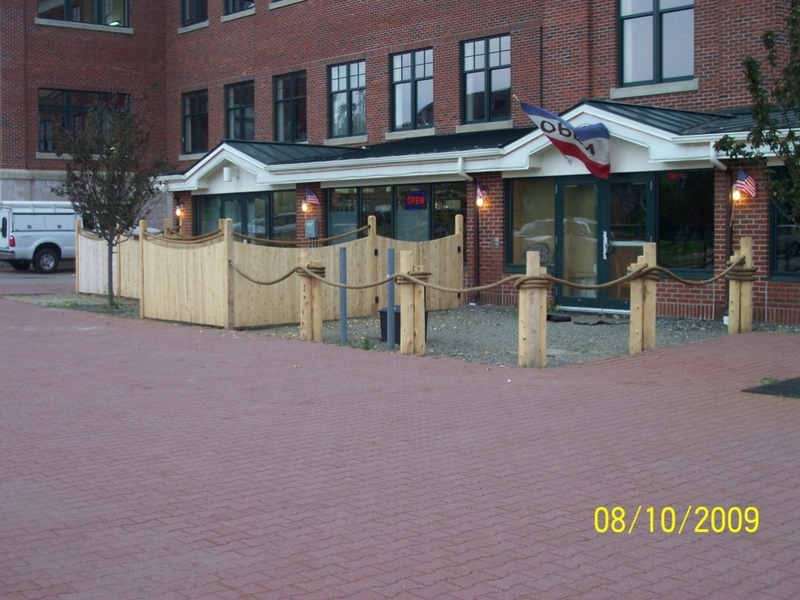 This type of fencing is attractive and can create a nautical theme at your establishment. 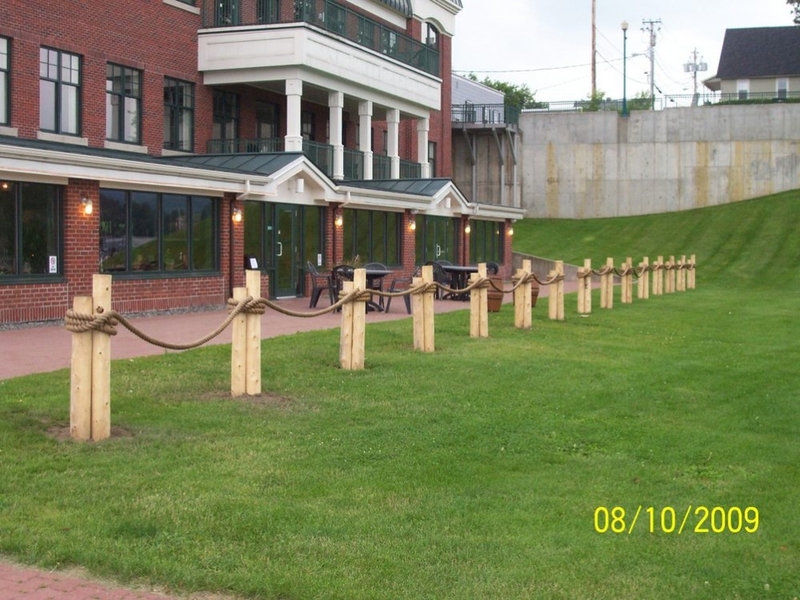 This dock piling fence lines the outside seating area of a restaurant on Lake Mempremagog. 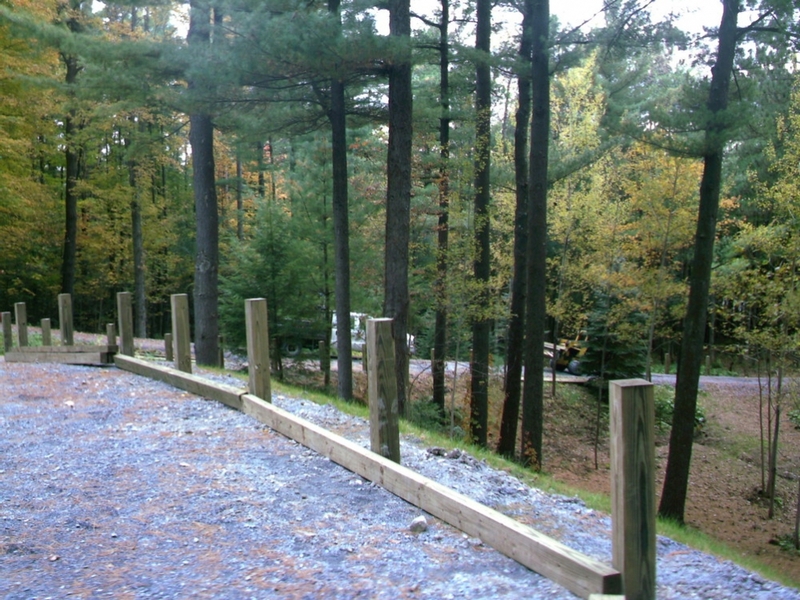 This dock piling fencing is combined with solid scalloped panels to shield mechanical equipment from view. 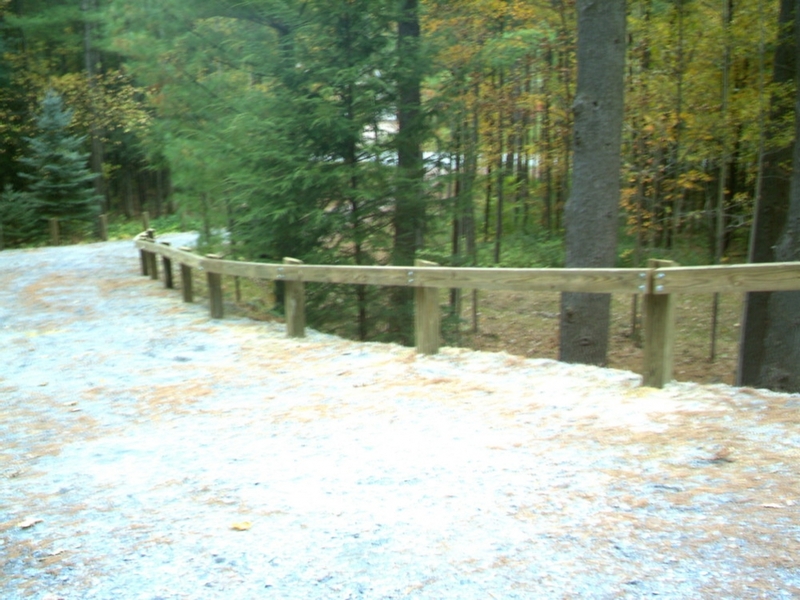 We also install Wooden Guardrails for private driveways. 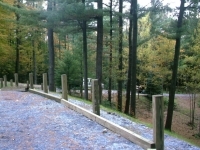 This wooden guardrail at a private residence, keeps cars from sliding into the woods.